Interestingly, there is place called “SUCCOTH” in the Middle East. This place was named by Ya’akov/Jacob. The children of Israel went through the place called “SUCCOTH” on their way to the Promised Land. 17 But Jacob moved on to Succoth, where he built a house for himself and made shelters for his livestock. That is why the place is named Succoth [Shelters]. 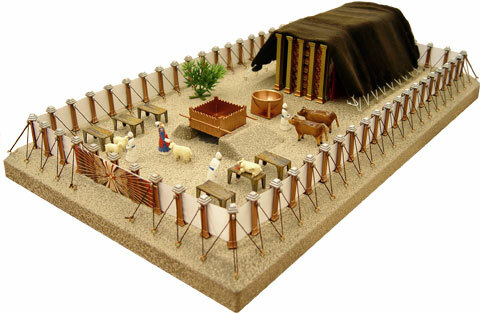 17 but Jacob journeyed to Sukkot and built a house for himself, and for his livestock he made booths. That is the reason that place is called Sukkot. 20 They moved from Succoth and camped at Etham, on the edge of the desert. 21 By day Yahweh went ahead of them in a column of smoke to lead them on their way. By night he went ahead of them in a column of fire to give them light so that they could travel by day or by night. 22 The column of smoke was always in front of the people during the day. The column of fire was always there at night. The sukkah we are commanded to stay in for seven days is a temporary construction with a roof covering (schach) of branches, bamboo, etc. The sukkah itself symbolises our dependence upon YAH’S care and sustenance. We eat meals in the sukkah and recite a special blessing (leshev Ba-Sukkah) at this time. Click on the image for the full details of the Holy Prophecy…. The “Sukkot” (plural for “Sukkah”) which are also known as tabernacles, booths, shelters, etc are temporary dwelling places for us as we only use them as our temporary houses for seven days. In the same way, we come to this earth (a temporary home) in our fleshly bodies (temporary home for our spiritual bodies and souls). 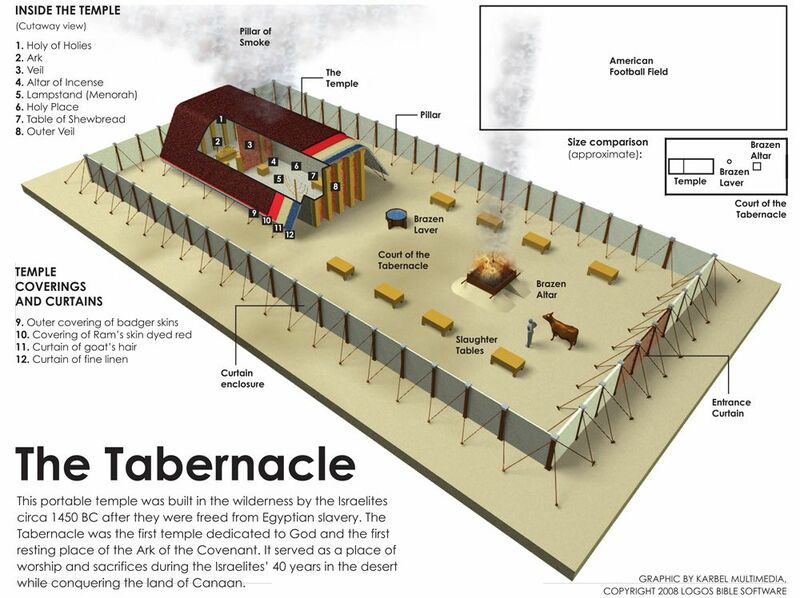 The Mishkan/Tabernacle of Moses was a temporary dwelling place for YAH Almighty amongst HIS People, Israel while they travelled through the wilderness. When they arrived in the Promised Land, Israel, ABBA YAHUVEH GOD gave instructions to build a more permanent dwelling place/shelter for HIM to dwell amongst HIS people. This was the First Temple. Sadly, King David could not be allowed to build it because he had too much on his hands. The responsibility was then passed on to his son, King Solomon. Unfortunately, YAHrushalayimJerusalem was invaded by the Syrians some years later and the First Temple was destroyed. Some time after the destruction of the First Temple, YAH inspired Prophet Nehemiah/Nehemyah Ha Navi and Prophet Ezra/Ezra Ha Navi to gather some Israelites together, request for permission from the empire ruler at the time and return to YAHrushalayim to build a new temple. Permission was granted but Satan still raised up some battles against the builders despite obtaining permission to build the temple. 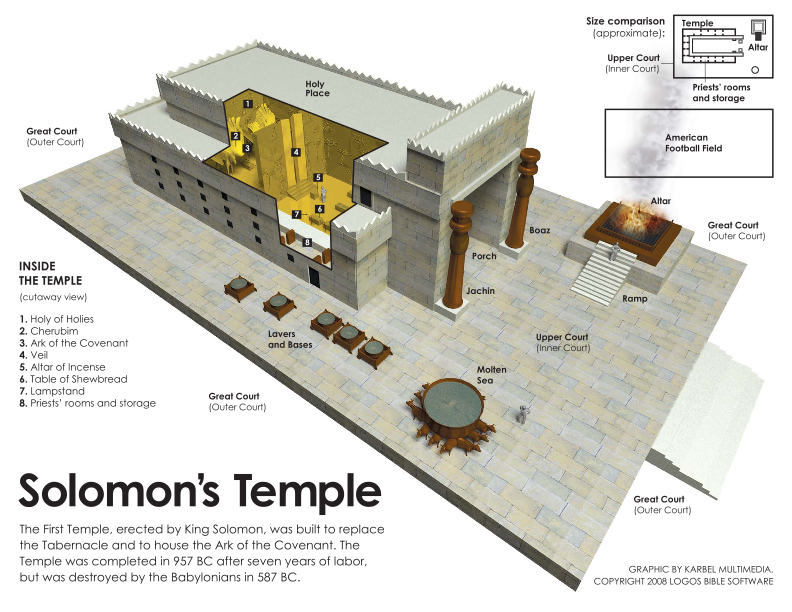 The Second Temple was finally completed however it is said that it was not as glorious as the First Temple. 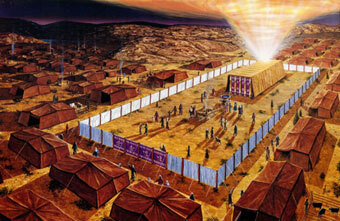 The GLORY of YAH was so much greater in the First Temple than it was in the Second Temple. Anyway, the point here is that YAH had a temporary dwelling place. This place was constantly under attack from Israel’s enemies. The Romans eventually destroyed the Second Temple in 70 AD and also made the Israelis homeless for a very long time. Praise YAH for by this time, YAH had already come up with another temporary dwelling place. The second destruction occurred after YAHUSHUA HA MASHIACH’S ascension to the Heavens and Feast of Weeks/Shavuot/Pentecost. YAHUSHUA’S disciples had already received the gift of RUACH HA KODESH a.k.a SHKINYINYAH GLORY and spread the Gospel of YAHUSHUA HA MASHIACH! Since that very special SHAVUOT after YAHUSHUA’S ascension to the Shammayim/Heavens (mentioned in Acts 2), YAH dwells in the spiritual bodies of those human beings who have accepted YAH’S SALVATION and been baptised by immersion in water plus by the RUACH HA KODESH! The spiritual bodies are housed by the fleshly bodies while on this earth. When the fleshly bodies are destroyed, the spiritual bodies would still carry the RUACH HA KODESH within them, thereby making them one with YAH Almighty! This what YAH’S Holy Angels look for whenever they come to earth to bless mankind as a result of answered prayers, etc. GREATER IS YAH IN YOU THAN he (Satan and his fellow fallen angels) THAT IS IN THE WORLD! 4 You are from God, children, and you have overcome them, because greater is He who is in you than he who is in the world. YAH still has temporary dwellings for HIMSELF amongst HIS people on the earth however HE now has a permanent dwelling place which is mankind’s spiritual body! our earthly children are temporary (children belong to YAH, they are sent to earthly parents to be raised as YAH’S ambassadors after which they get on with their lives, still honouring their parents). All will fade away in the future! Only YAH is our protection! Only in YAH can we trust! – This is what SUKKOT is all about! Earth is our temporary dwelling place and for those who have accepted YAH’S SALVATION and afterwards are walking faithfully with YAH, their permanent dwelling place is in the New Heavens and New Earth (Revelation 21). The Orthodox Jewish people are looking forward to the building of the Third Temple in which there is no harm however the most important thing for them in life that is wished is that they also accept YAH’S SALVATION then receive RUACH HA KODESH into their spiritual bodies. Their lives would be transformed enormously as a result of accepting YAH’S SALVATION! May YAH Almighty open their eyes for better understanding and acceptance of the TRUTH concerning the MASHIACH/MESSIAH, in YAHUSHUA’S Name, AMEN!